Here at the Howard Centre zero waste ends up in landfill. General waste is sorted by Veolia our waste partners with any non-recycle items being converted to fuel. 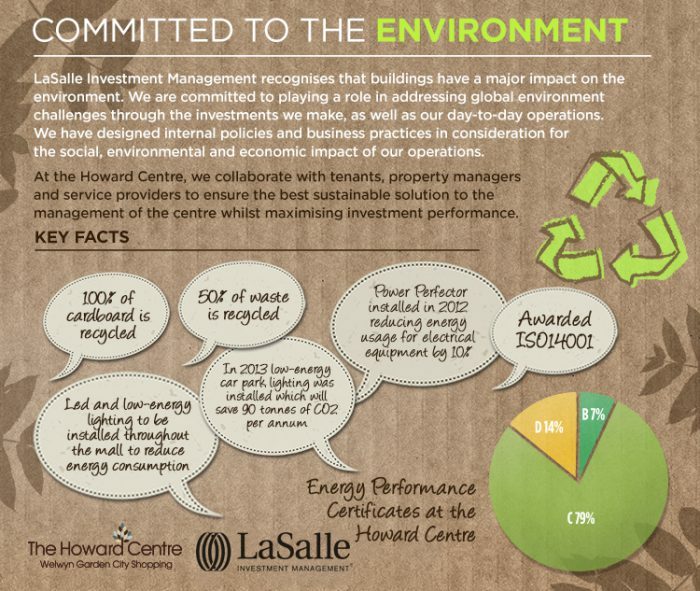 The Howard Centre has won 5 Green Apple awards – the annual international campaign to recognise, reward and promote environmental best practice around the world. Promotes resource reuse by restoring unclaimed old and damaged bikes and providing these to worthy recipients in the UK and Africa. Waste paper, cardboard, plastic and wooden pallets are collected by our waste partner for recycling. In addition general waste collected from the Centre is secondary sorted with 20% recycled and 80% recovered for energy. Zero waste is sent to landfill. Segregated bins have also been introduced in the mall for separate collection at source, with extra training provided to tenants to encourage high quality recycling. The Centre was also a runner up in the BCSC Gold Sustainability Awards 2015 for the ISO 14001 project. 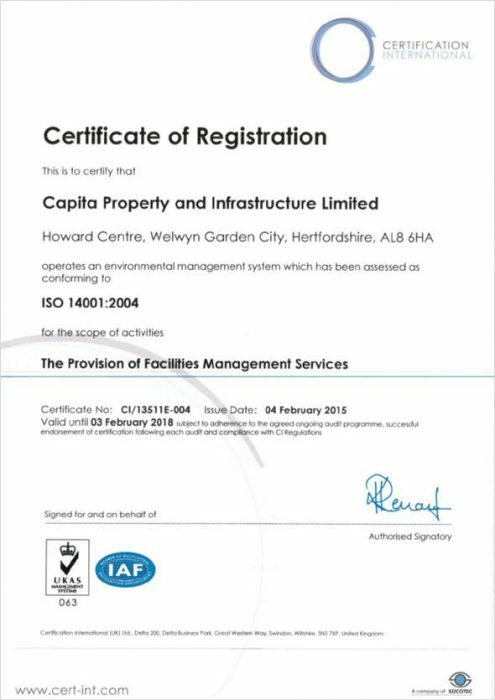 The Howard Centre aspired to achieve ISO 14001 certification to demonstrate that the Centre is consistently operating in line with environmental best practice.